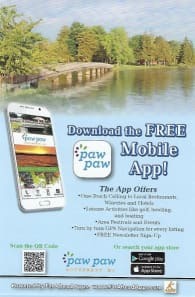 The Paw Paw Area Chamber of Commerce is dedicated to bringing together its member businesses and connectingng them with the communities they serve. Think Thursday events provide a variety of social, educational and networking opportunities to help Chamber members develop and maintain these important relationships. Making the effort to be active in your Chamber increases the value of your membership many times over. Taking the time to get to know others who have invested in your community helps us all to grow together.